One of the most valuable things I have learnt is to always put your all into every project and really go for it! Be curious and think outside the box. Why did you choose to study BA (Hons) Graphic Design at NTU? "When visiting the University I heard lots of great things from past students and from the tutors." "That there’s no set way of doing things, you can take your projects in any direction and really use your imagination. The tutors are also really supportive, they have helped me to develop my own personal style which is great." "I’m working on a few simultaneously, but the focus recently has been a Creative Conscience brief. I’m looking at the idea of womanhood and have organised a workshop open to the public where people can explore this concept through the making of postcards. The workshop features a guest speaker, Saziso Phiri (founder of The Anti Gallery) and looks at the themes of what being a woman means in today’s society, role models, empowerment and breaking stereotype." What is the most valuable thing you have learnt on our graphic design course so far? "One of the most valuable things I have learnt is to put your all into every project and really go for it! Be curious and think outside the box." Has your course included any speakers from industry? "We’ve had quite a few, thanks to one of our amazing tutors who has worked really hard to get some great people in for us. A recent visit was from children’s book illustrator, Alexis Deacon. He talked to us about his creative process, and shared some of his stories." "There’s always a lot going on! There’s a great art scene and good nightlife." Why would you recommend your course to prospective students? 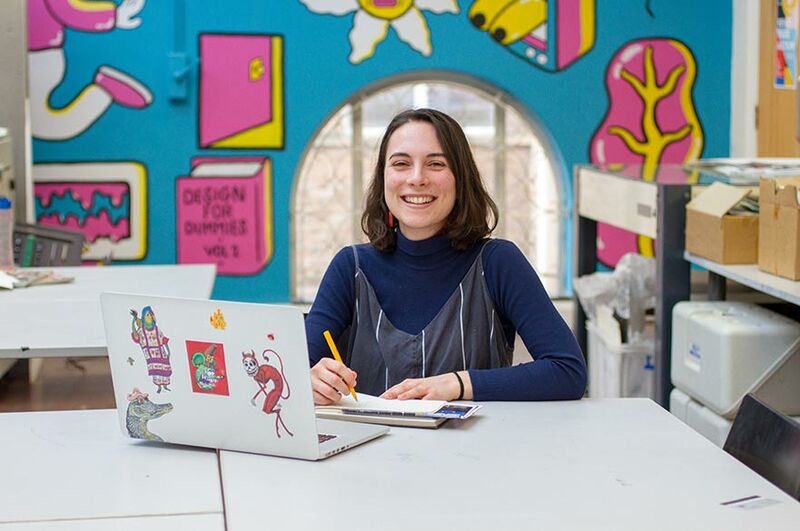 "Three reasons - there's a great atmosphere within the School of Art & Design, the course is fantastic and you'll meet lots of amazing people." "To graduate and get an exciting job, with a constant stream of interesting projects."